A spokesman for Operation Inherent Resolve (OIR), the United Statesâ military intervention against Islamic State (ISIS) forces in Syria and Iraq, discussed recent tensions between Turkey and the United States during a press conference on Monday, German public broadcaster Deutsche Welle reports. OIR spokesperson Ryan Dillon told journalists at the press event that, while the outcome of talks between U.S. Secretary of State Rex Tillerson and his Turkish counterpart MevlÃ¼t ÃavuÅoÄlu are not yet clear, the use of diplomatic mechanisms to ensure progress between the NATO allie s on issues in Syria was a good starting point. Tensions between Turkey and the United States soared after the Turkish armed forces entered the northwest Syrian enclave of Afrin on Jan. 20 to fight forces from the Peoplesâ Protection Units (YPG). The YPG are considered a terrorist organisation linked to the Kurdistan Workersâ Party (PKK) by Turkey, but the United States has been collaborating with YPG-affiliated fighters in its operations against ISIS, and has supplied them with weapons and military support, and deployed troops in an area near Afrin called Manbij, which also has a YPG presence. The presence of U.S. forces in Manbij, and Turkish President Recep Tayyip ErdoÄanâs threats that Turkish forces would invade the area whether, caused a rift between the NATO partners that has still not been fully healed despite crisis talks between Tillerson and the Turkish leadership in February. Ryan Dillon echoed the conciliatory tone adopted by Tille rson and other U.S. officials during the press conference, reiterating that the United States viewed the PKK as a terrorist group and acknowledged the âlegitimate concernsâ around border security that had motivated Operation Olive Branch. Dillon also stated that Turkey had been âwell informedâ about the weapons supplied to Kurdish forces including the Syrian Democratic Forces (SDF), another armed group with close ties to the YPG that has played a crucial role in OIRâs fight against ISIS. 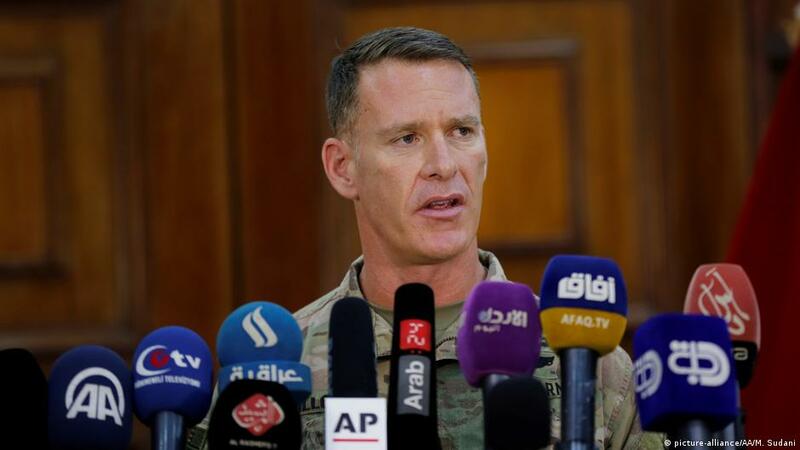 The OIR spokesman went on to repeat U.S. concerns that the Afrin operation was drawing focus from that fight. IÅÄ°D ile mÃ¼cadele koalisyonunun sÃ¶zcÃ¼sÃ¼ AmerikalÄ± Albay Ryan Dillon, âAfrinâdeki son faaliyetler dikkati daÄÄ±ttÄ±â diyerek TÃ¼rkiyeâyi eleÅtirdi. Dillon, bÃ¶lgede IÅÄ°D ile mÃ¼cadeleye odaklanÄ±lmasÄ±nÄ± istedi.